Pozor - pri vyzvedavani a ukladani budte velmi opatrni je tam vsude premudlovano! Klaster na Starem Brne byl od 14. stoleti sidlem cisterciacek. V 18. stoleti ale pripadl pod spravu augustinianu, kteri se sem prestehovali v ramci josefinskych reforem z klastera pri kostele sv. Tomase. Klenotem goticke architektury je poutni bazilika Nanebevzeti Panny Marie, postavena z neomitnutych cihel a tesaneho kamene, jez vynika slozitym pudorysem. 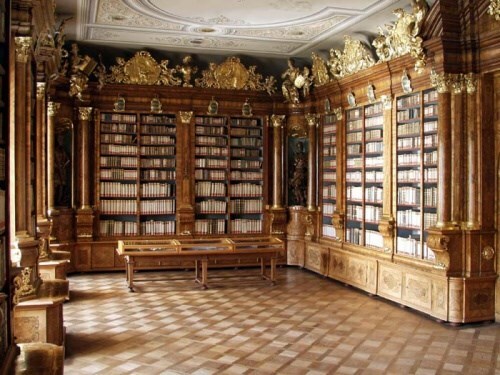 Z barokni vyzdoby interieru stoji za povsimnuti stribrny oltar, zhotoveny v Augsburgu v letech 1735-36, a deskovy obraz Madony s ditetem z 2. poloviny 13. stoleti, dar cisare Karla IV. 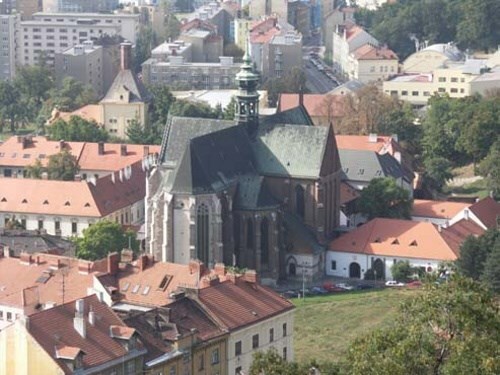 Kostel byl v roce 1987 povysen na basiliku minor. V arealu opatstvi lze navstivit expozici venovanou zdejsimu opatu a zakladateli genetiky G. J. Mendelovi. Zakladatelka klastera kralovna Eliska Rejcka je pohrbena v bazilice. 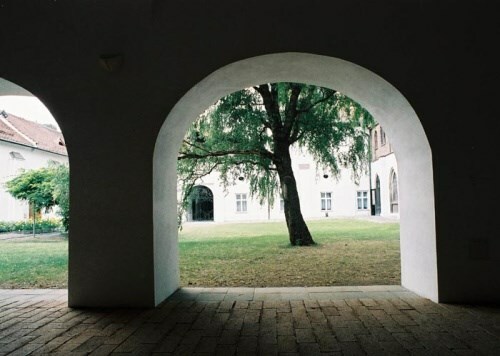 From the 14th century onwards, the convent at Staré Brno was the seat of Cistercian nuns. In the 1700s, however, the establishment fell under the administration of Augustinian monks who moved here from the monastery attached to St Thomas' Church. 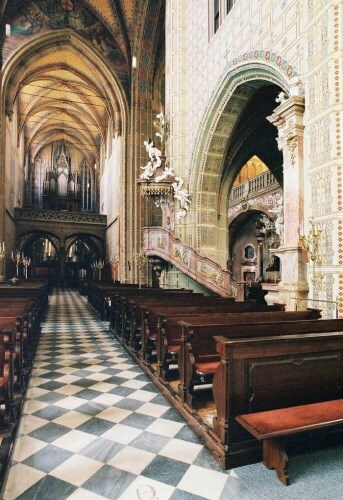 Built from rustic bricks and chipped stone, the local pilgrimage Basilica of the Assumption, which stands out for its intricate ground plan, is a jewel of Gothic architecture. 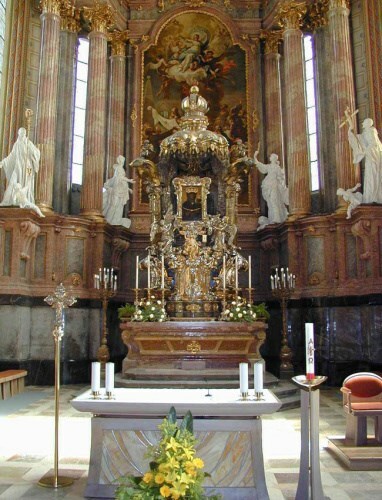 The most noteworthy furnishings of the splendidly decorated Baroque interiors are the silver altar, created in Augsburg between 1735 and 1736, and the panel painting of the Madonna with the Child dating from the latter half of the 13th century, which was donated by Emperor Charles IV. In 1987 the church was promoted to basilica minor. Visitors to the complex can explore a display dedicated to G. J. Mendel, once the monastery's abbot and the founder of genetics. 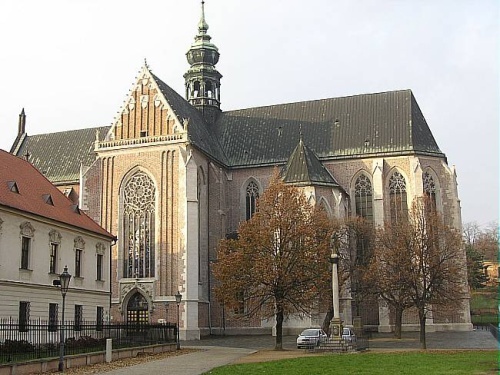 The basilica is the final resting place of Elisabeth Richeza, the founder of the monastery.